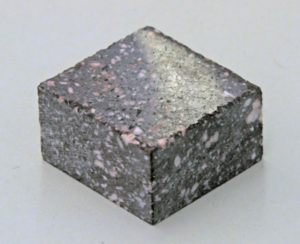 This small, polished stone is suitable for inclusion in a tiled setting or even in a jewelry piece. Each tile is 1/2 inch thick. 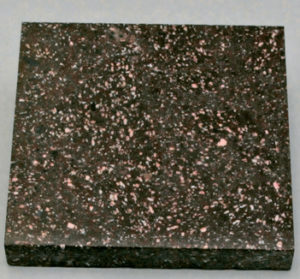 An imperial porphyry tile is an affordable way to own the stone of emperors! Use it in a tiled wall, in mosaic art, or in jewelry and other crafts. Your imagination is the limit! 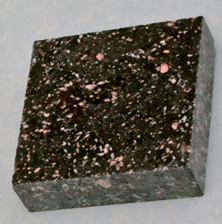 Four times the porphyry of the 1×1, this tile looks great in any setting. Each tile is 1/2 inch thick. Use it in your home decor, art projects, or even as a statement jewelry piece. This tile is large enough to take its place on a tabletop or magnificent backsplash, or as the base for a bust of your favorite Roman emperor! Each tile is 1/2 inch thick. A superbly beautiful piece reflecting the beauty and enduring allure of this stone. 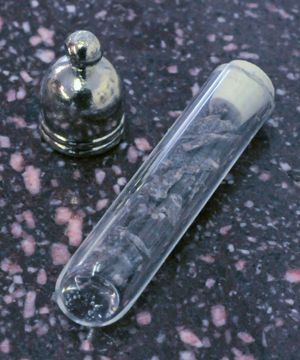 Wear the Stone of Emperors as a pendant with this glass vial of porphry chips – an affordable way to own this rare and precious mineral. To bring out the color of the stones, add water or mineral oil to the vial. Attach the silver cap with glue to keep your Imperial Porphyry chips safe. This one-of-a-kind item is a statement-making piece of the Stone of Emperors — almost large enough to stand on, although we don’t recommend it as a way to achieve supreme executive power. Dimensions are 10.5 inches wide, 5.5 inches high, and 1/2 inch thick. 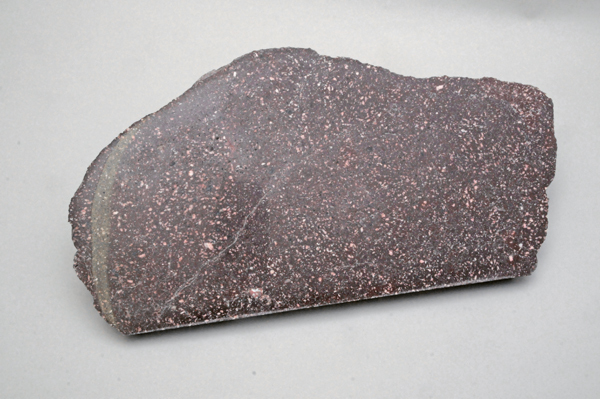 Use this slab as a unique centerpiece, desk nameplate, or in a work of art.